Click on the link below and enter CDP#: 1742729. HP consumer products at discounts typically up to 10% off starting prices. You can also take advantage of instant rebates, coupons and HP Home & Home Office sales promotions that combine with your EPP discount – for a typical savings of 20-30% off. Look for the EPP tag () throughout the store to see your member savings. Go to http://retailcodes.com/retailers/hp-employee-purchase-program and use GCPS discount code: EP17047. There’s no better place to order flowers online than 1-800-Flowers.com. Sprint is happy to offer teachers, administrators and other education staffers’ savings through the Sprint Discount Program. Interested in the latest offers and specials? Visit: http://bit.ly/SW4Educ, stop by your local Sprint Store: www.sprint.com/storelocator or email Kristin Whitley, Sprint Discount Program Client Director. Need to add your discount to your account? 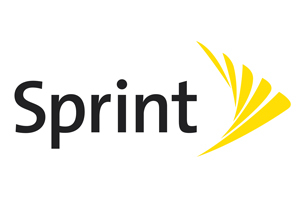 Visit: www.sprint.com/verify and use Fast Track to validate. Not on a discountable rate plan? No worries!! Stop by your local Sprint Store for a FREE rate plan review. Sprint also has an amazing Referral Rewards program! Refer co-workers, family and friends to Sprint – they accept your referral offer and switch and you each receive $50 per line, up to a maximum of $500/year. Get an instant 10% discount with Office Depot Employee Purchase Plan! Office Depot and Gwinnett County Schools have teamed up to provide you with great savings on your personal shopping at business.officedepot.com, or at more than 1,100 Office Depot retail locations. 10% discount on Office Depot general supply products (based on retail web). You will receive discounts on clearance items also. Discounting on color and black and white printing. Great for home office, back to school, printing. Use this pre-registered card for discounts at any of our retail stores. Click here to print your Gwinnett County Public School discount card today!